Failed MH370 Search May Have Solved Mystery Of 19th Century Shipwrecks : The Two-Way The search for the Malaysia Airlines flight — lost in 2014 with 239 passengers and crew — turned up two shipwrecks. Maritime historians think they've discovered the identities of the vessels. One of the two wreck sites identified in 2015 during the extensive search for Malaysia Airlines Flight MH370. The most extensive air-sea search in history failed to find Malaysia Airlines Flight MH370, which vanished without a trace in 2014, but it may have solved the mysterious fate of two 19th century sailing ships. According to a report by the Western Australian Museum, maritime historians believe they have narrowed down the identities of two wrecks discovered as searchers were scanning the ocean floor southwest of Australia looking for the lost Boeing 777 with 239 passengers and crew. The first wreck is believed to be either the sailing brig W Gordon, bound from Scotland to Australia when it disappeared in 1877, or the barque Magdala, last heard from in 1882 on its way from Wales to Indonesia. A second wreck site is thought to be the barque West Ridge, which was lost with a crew of 28 while sailing from England to India in 1883. All three ships were carrying cargoes of coal. Both wreck sites were discovered during the MH370 search in 2015. Ross Anderson, curator of maritime archaeology at the museum, says undersea drones photographed the wreck sites and collected coal samples. "An iron wreck found on 19 December 2015 was most likely the barque West Ridge, which vanished while sailing from England to India with 28 sailors in 1883, the report said. 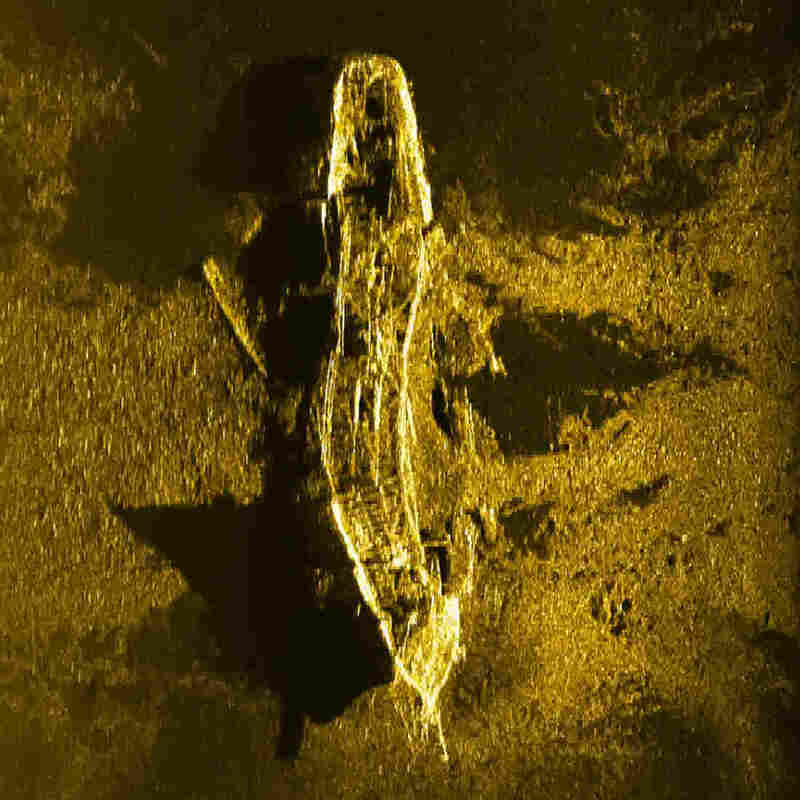 A coal sample from that wreck suggested the cargo was from Britain. There was no evidence of what caused the disaster, but the wreck's location east of the trade route from Europe to Asia suggested it might have been heading to the closest port in Australia for help." "These are the deepest wrecks so far located in the Indian Ocean; they're some of the most remote shipwrecks in the world," Anderson said. A previous version of this story misidentified Malaysia Airlines as Malaysian Airlines.